SimCity: Cities of Tomorrow is the first official expansion to EA and Maxis’s beleaguered SimCity released earlier this year, and it will allow players to exercise their city management skills in futuristic cities that look a lot like something out of The Jetsons. Or well, at least, that’s what the trailer seems to promise, as it shows off some almost idealistically naive technology that the game’s vision of the future will give players access to. 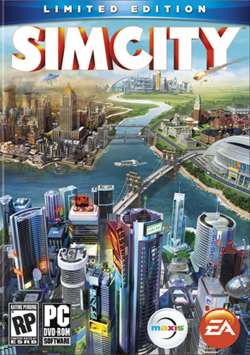 In any case, the game has had a lot of its issues since launch resolved, so for anyone looking to scratch their city sim and management itch, SimCity remains a pretty good recommendation now (and probably even more so now with what looks to be a very promising expansion pack). SimCity: Cities of Tomorrow will launch soon on Origin for Windows and Mac, so stay tuned to GamingBolt for further coverage of the title.